JĂłzsef Rippl-RĂłnai, JĂĄnos Vaszary, SĂĄndor Galimberti, Lajos Kunffy... All of them are famous, internationally recognized painters, who attach in many ways to the city and its contemporary cultural life. 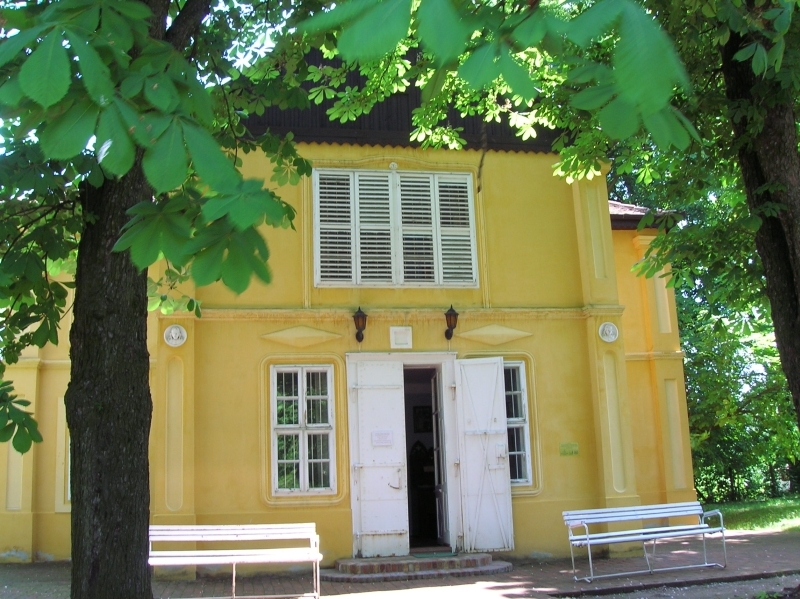 The house of Rippl-RĂłnai and the birthplace of Vaszary can be visited, they are functioned as a museum and an exhibition room. The Vaszary Art Gallery is the place of contemporary art exhibitions, the exhibition of Juan Gyenes and the home of GyĂľzĂľ Somogyi's Hungarian kings gallery; the Rippl-RĂłnai Museum gives place to permanent and temporary exhibitions as a county museum, between them the collection of ĂdĂśn Rippl-RĂłnai. Since 2000, traditionally the City of Painters Festival is organized in the end of May, which is held in honour of KaposvĂĄr's famous painters. During the four-day long, easy, felicitous, mediterranean programmes, the visitors can attend to the painters, artisans and performers who create in the street, they can have a rest in the terraces of its cafĂŠs and enjoy the nice music concerts and dance shows. 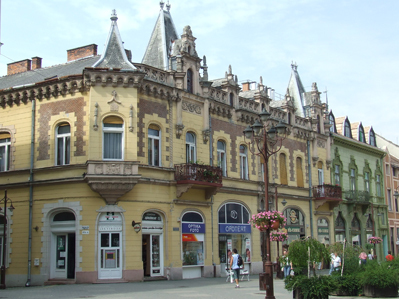 The city today also follows the movement of "Flowered KaposvĂĄr" of the years of 1910. In 2003 it was ranked to the 1st place in the competition of "Flowered Hungary", which was held to beautify the environment, and in 2004 it got gold qualification in France, in the "Competition of European Flowered Cities and Villages". In every year thousands of flowers are placed in the flowerbeds near the statues, pavements and roads, to the electric pylons, so every visitor from spring to autumn can find the city in spate of flowers. 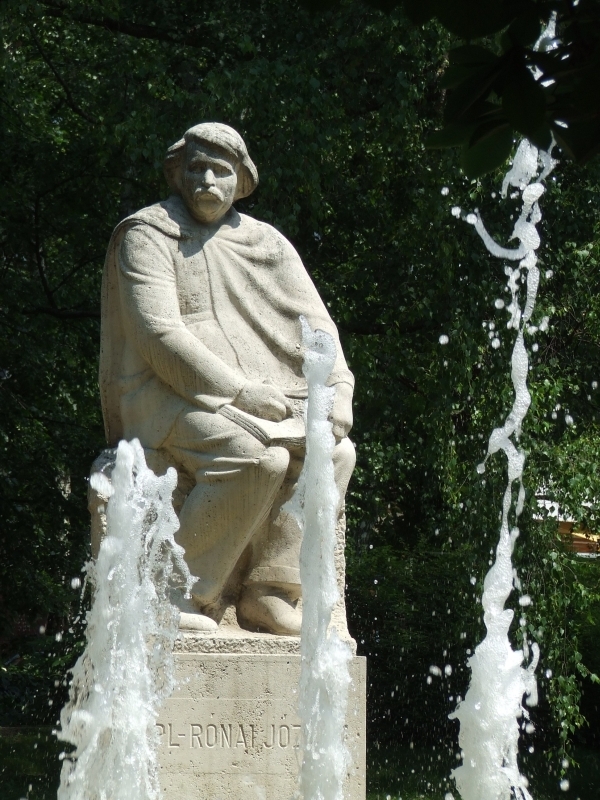 The first waterwork of KaposvĂĄr was stood in 1913 in front of the Gergely Csiky Theater. 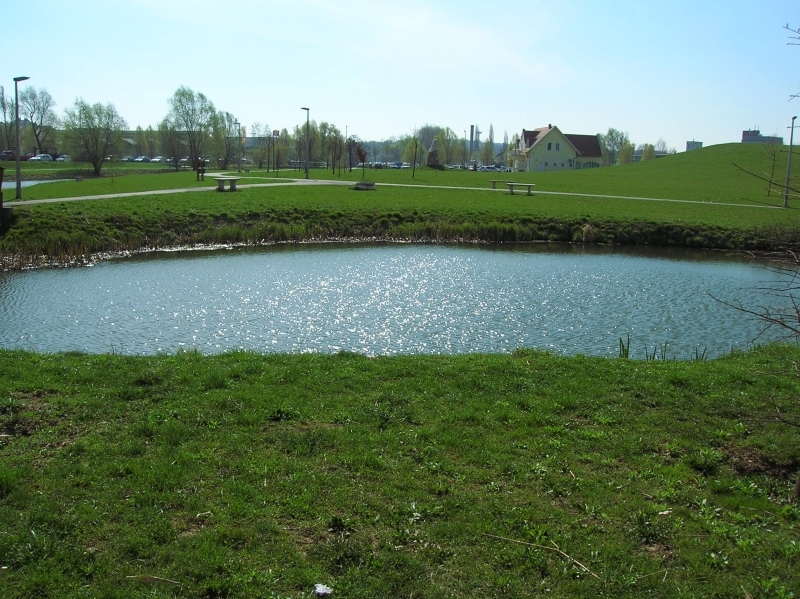 Since then we can find imposing waterworks and wells in the Kossuth square, and the park of Berzsenyi, EurĂłpa, SzĂ­nhĂĄz and the Valley of the city. These bring real refreshment to the visitors and the citizens. 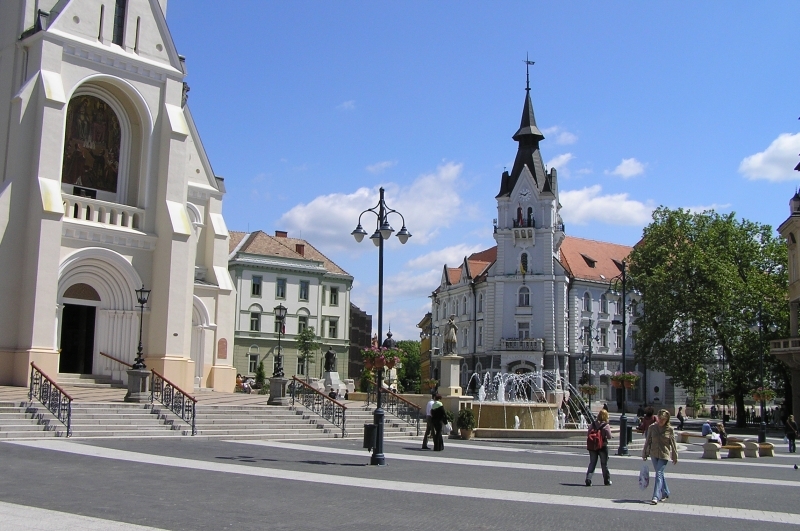 The big part of KaposvĂĄr's downtown was built up before and after the turn of the 19-20th century. In 1911 the building of Gergely Csiky Theater was opened, the SzivĂĄrvĂĄny Movie and Music House, KaposvĂĄr's Science and Technology House, the buildings of Ady Endre, DĂłzsa GyĂśrgy, KontrĂĄssy streets and the windows of the Town Hall are the specialities of secessionist style. 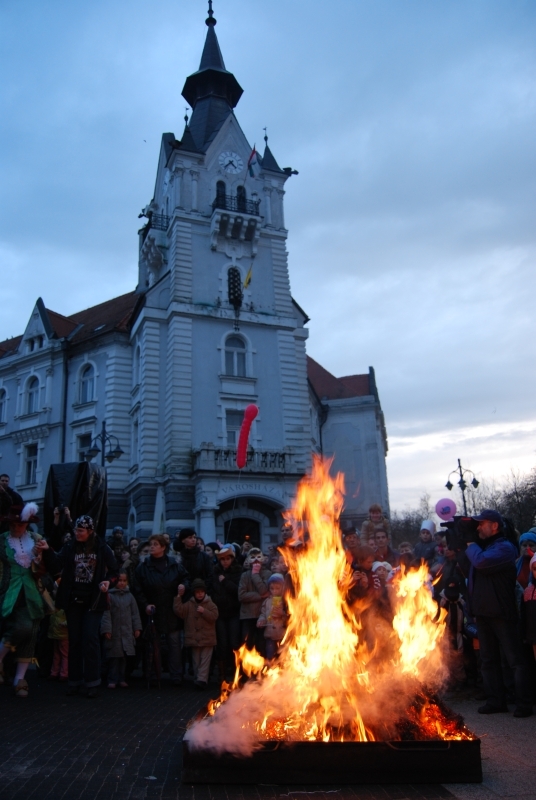 The season of festivals starts with the carnival of the day Dorottya in KaposvĂĄr, which is followed by the KaposvĂĄr Spring Festival's musical and dance programs. 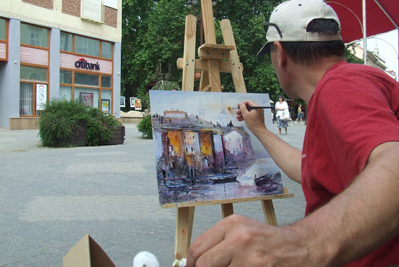 In May the city salute to its famous painters with the City of Painter's Festival. During the summer the stage of the Ruins of the Szentjakab Benedictine Abbey gives place to the performances of the Szentjakab Summer Nights. In every second year the Biennal of Children and Youth Theaters are assembled together with their plays to the children in our city. In the summers KaposvĂĄr gives place to about 200 youth football team from every part of the world in the Youth Football Festival. 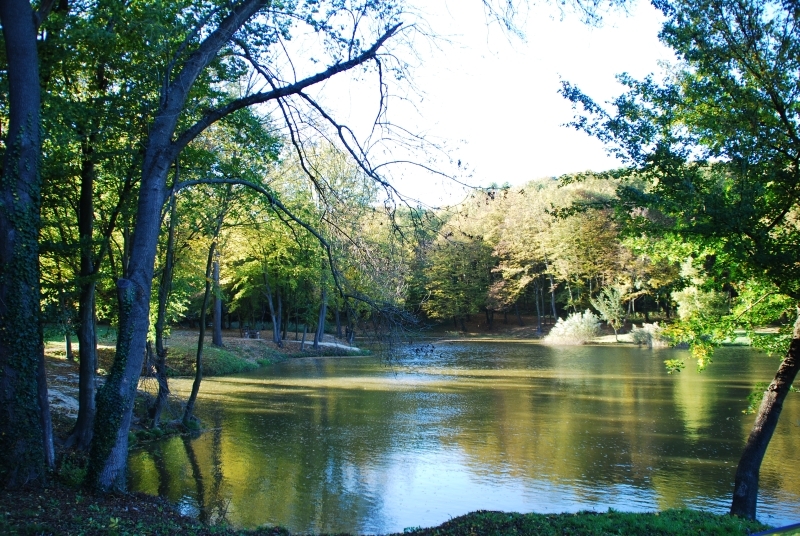 In the downhills of Zselic - situated to South from KaposvĂĄr - the small villages, streams and lakes unique atmosphere and its picturesque surrounding seduce the visitor. 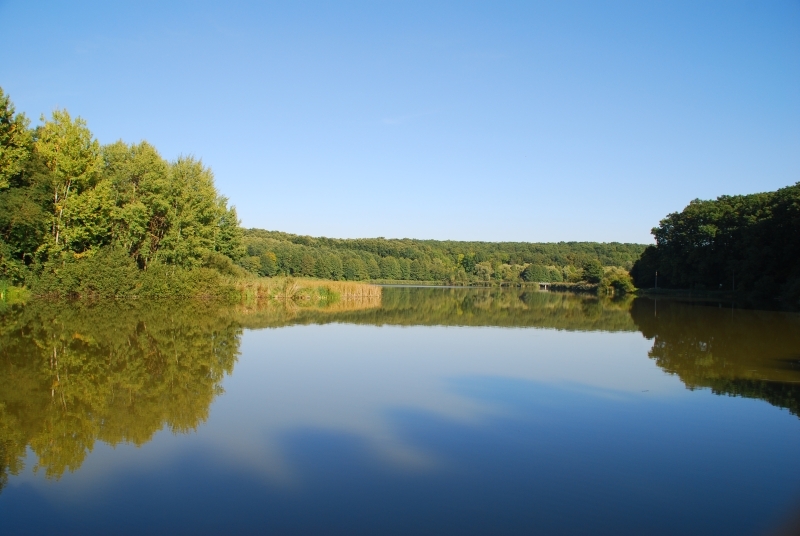 You can find there the Zselici National Park in 9024 hectars, that safe the hornbream groves, the oak-forest, the beech-wood, the silver linden-trees and the protected plants and animals. 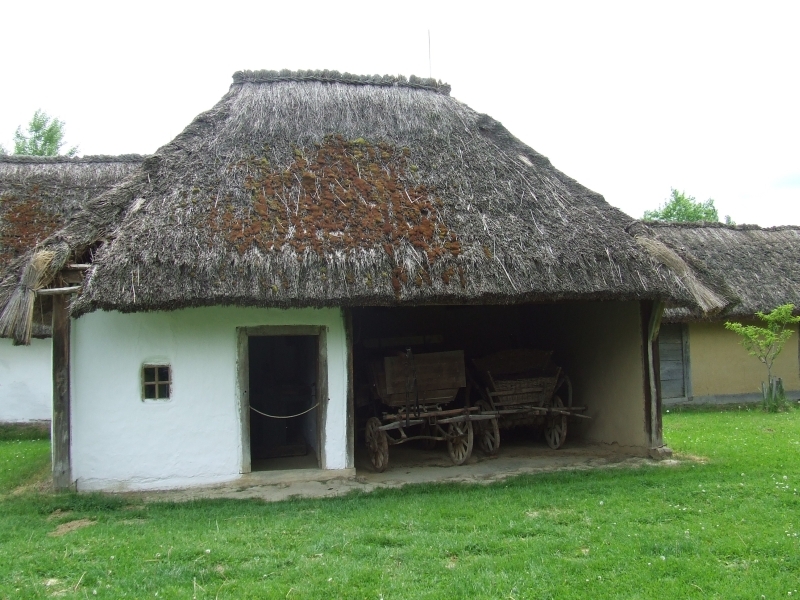 You can visit not just the natural values but he small villages of Zselic, between them the Skanzen of Szenna - honoured by Europe Nostra Award - and the stag farm of BĂľszĂŠnfa. The title of National Sport City is given to those cities, which take a lot for the citizens to do diverse and intense sport activity for health. KaposvĂĄr's sport life gave many olympic and world champions to Hungary. The city's basketball and voleyball team are multiple champions and the football club plays in the 1st class. In the nearby Deseda lake you can canoening, swim in the town's swimming pool, ride a bike on the cycling roads, and the lover of the winter sports can enjoy the possibilities of the Ice Hall. The urban and peripheral horse camps are also very popular. The area of today's KaposvĂĄr was populated from times immemorial, celtics, romans and avar tribes changed themselves during the millenniums, and about in 900 the conquering Hungarians found slav and german villages in this land. After the conquest of the Hungarians the tribe of KoppĂĄny settled down in Somogy. The name of the settlement - which comes from the world "kapu" (gate) - appeared first in 1009, in Saint Stephen's memorandum of association, which fixed the boarders of PĂŠcs's bishopric. In 1061 Atha (OttĂł), the lord lieutenant of Somogy founded a benedictine monastery, in which consecration King Salamon and Prince GĂŠza took part too. BĂŠla the IVth after the Mongol invasion of Hungary made built strong castles, and KaposvĂĄr's first castle was built during his reign in the years of 1200. But despite it, the monastery and considerable settlement around the castle didn't come into existence, once because the settlement was avoided by the commercial roads and on the other hand because the different tribes fights didn't favour the development. Eventually the period of local fights was closed by the turkish gunfire. In the decades, after the battle of MohĂĄcs the neighbourhood was prowled by the troops of SzulejmĂĄn. The Turkishes occupied the kaposi castle in September of 1555 and it was followed by a 131 year old Turkish occupation. During this time KaposvĂĄr - despite it became a small administrative center - it worked rather as a military camp. Finally the christian troops liberate the castle of Kapos. After the years of thraldom, it seemed the development could start. The church was built up and the first guild was founded. But the beginning of the 18th century brought suffering and blows to the settlement instead the development. The Habsburgs in 1702 destroyed to the earth the kaposi castle. And the ruins were desolated during the RĂĄkĂłczi war of independence. But in the ruins some decades later a new country town was built. The resettlement of the city after the destruction, is in connection to the name of the EsterhĂĄzy family and the fortification of its economic and administrative rule. The city got the right for holding markets in 1703, in 1715 the first school was built up, in 1730 there was already 132 houses and a new church was ready in 1748. 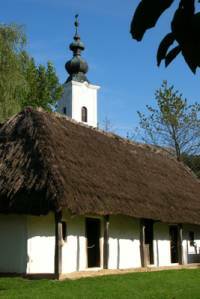 In 1750 for good KaposvĂĄr became the chief town of a county. More and more artisans and traders moved into the city and the number of the citizens during six decades doubled by 1780. But more important was that, so from the 19th century significant medical and cultural institutions were founded in KaposvĂĄr. The "kis gymnasium" (the predecessor of the present TĂĄncsics MihĂĄly Secondary Grammar School), the Arany OroszlĂĄn Pharmacy (Gold Lion) and the general hospital were built up, and we can found the name of DĂĄniel Berzsenyi among the name of the county library's readers, which was founded in 1816. The small county town started to become a civic town. 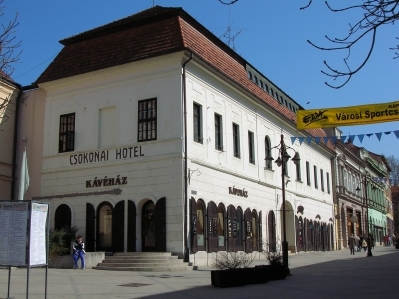 The city center evolved with the county hall, the building of the town hall, the church, the Korona Hotel and the Dorottya-house. 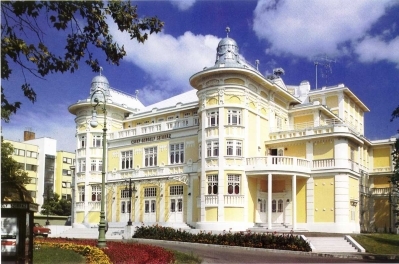 The National Casino and the Horse Raiser Company were set up, and the visitors of KaposvĂĄr could walk on paved roads. Earl IstvĂĄn SzĂŠchenyi was elected to the first freeman of the town in 1835.. The revolution and war of independence of 1848/49 didn't avoid the chief town of Somogy county. The citizens voted for the revolution. Although the kaiser's groups occupied the city for a short time, they couldn't supple the insurrectionist KaposvĂĄr. The local citizens still sacrificed the bell of the church to make cannon. The sheriff of KaposvĂĄr, the later commissary, GĂĄspĂĄr Noszlopy with its territorial army, liberated Somogy county for three months. However the war of independence tumbled and KaposvĂĄr got again under foreign occupation. Although the oppression slowed down but couldn't stop the development. The post office opened, and the country's first soap factory was founded. And thanks for an Austrian growth brewer JĂĄnos Donner, a new city district - the present Donner - started to built in the South side of river Kapos. The local public life bloomed, after the casino the set up of the chorus, and then the first weekly newspaper in 1866, the Somogy started on its way with its editor, the famous journalist IstvĂĄn Roboz. One of KaposvĂĄr's most blossing time was after the conciliation. Thanks for mostly the railway building: until that time there were railroads only in the winger of the county, and the first engine arrived to KaposvĂĄr in 1872. It opened the possibilities for the artisans and traders and the development of the city's economic life. In the years of 1890 the development of the infrastructure gave new movement to the city's development. Short train ways were built and they made the city for railway interchange. The railway network became wider, there were tryings to bring in the electricity, a telegraph office was created and they set up telephone connection with PĂŠcs. At the beginning of the 1900 years there were already eleven big industrial companies in the city, among them the sugar factory from the autumn 1894, which was then one of the most significant plant in the country, and the MIR Malom grain processing plant. By this time the agricultural character of the city reduced. But there was another, new project: with the growth of the population's number the city became larger and larger. 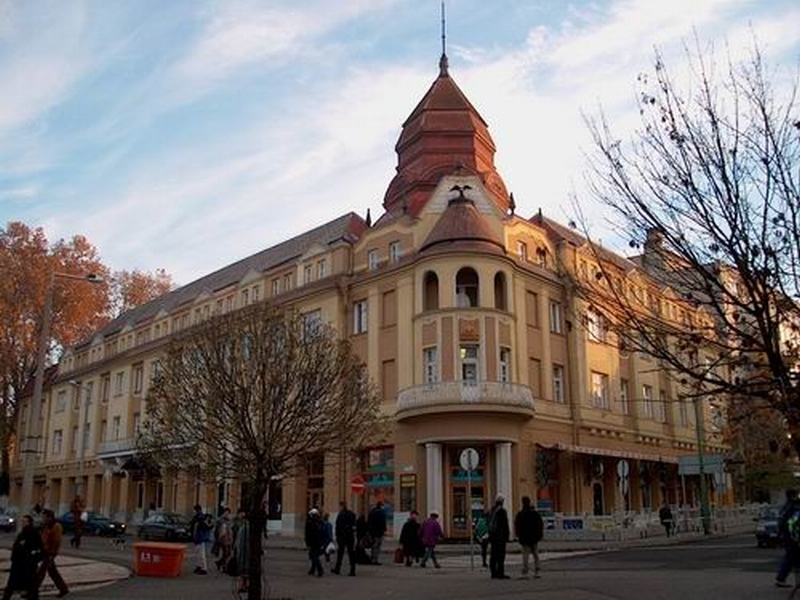 The first important planned city development is in connection with IstvĂĄn NĂŠmeth, who was the major of the city between 1895 and 1911. For the citizens their environment became more and more important and thanks for the KaposvĂĄri SzĂŠpĂ­tĹ EgyesĂźlet (KaposvĂĄri Beautifying Association), the city became then a real "flowered city". The representatives of the culture had to keep step with the economic development. By that time the city has the right to keep high-school graduation in its secondary grammar school, there was a convent, a seminary and beside other institutions a day-nursery too. The first daily newspaper of the county, the Somogyi HĂ­rlap came out from the printing-house in April 1904. 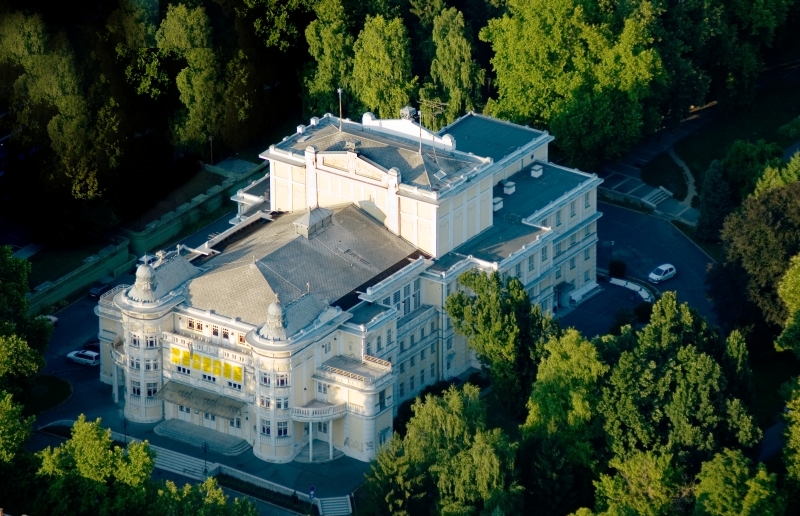 In September 1911 the stone theater of KaposvĂĄr was opened, which was then the country's biggest and modernest theater, where the most popular actors and actresses played. And a new cultural trend born, the film: in the first decade of the 20th century there were already three cinemas. Newer and newer cultural and art associations were founded. A lot of famous artists settled down there, like JĂłzsef Rippl-RĂłnai, Endre Ady, IstvĂĄn Fekete and AurĂŠl BernĂĄth. The years of development ended by the I. World War, which from - like from the important events of the Hungarian history - the citizens, the soldiers of KaposvĂĄr took their part too. But the war brought hardship and dissatisfaction to the city. In the public life there were strikes and strengthening left-wing ideas. The ideas of the "ĹszirĂłzsĂĄs" Revolution found place in the public life. The first directorium and agricutural association were born here and the plants were socialized. But the revolution fell, the war, the years of terror and Trianon brought recession which from it could stand up only in the years of 1930. The city stood up slowly. Although the role of the railway transport diminished, but the bus transport started and in 1929 the airport built up in TaszĂĄr. KaposvĂĄr from an industrial city became a commercial-officer city and the transformation of the cityscape reflected it. 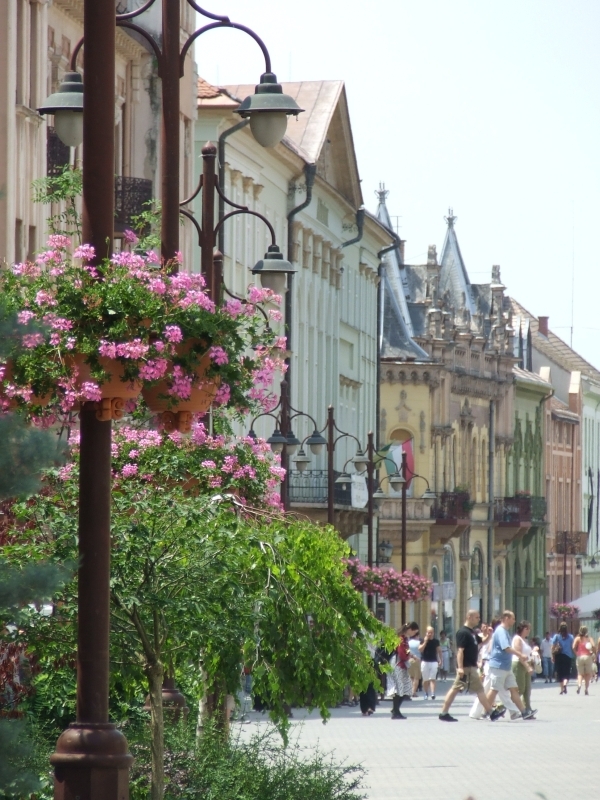 It wasn't just a flowered, but a clean, pleasant, civic town with restaurants, cafĂŠs and active cultural life. Thanks for JĂłzsef AdorjĂĄn, Ferenc Csik and a number of olympic sportmen the world got to know the city's sportlife. The national policy darkened more and more, the "happy peacetimes", the left-wing ideas and later the wind of the World War reached the city. Almost one thousand citizens died or disappeared during the fights. In 1944 the city twice got under foreign occupation. In March the German soldiers filed in KaposvĂĄr. The jewishes were deported, most of them died in Auschwitz. The frontline arrived here on 2nd December. The soviet groups changed the Germans. The life could start fast in the city because fortunately, the fights didn't cause remarkable destruction. KaposvĂĄr always said to be an "insurrectionist" city and it chose again the policy of restart. The parties formed, like the Communist Party, but the Country Party had the biggest side. After the communist received the power the socialisations finished and the new kind of industrial expansion started, the socialist industrialisation. Its result was for example the textil factory, meat plant, electricity factory. But the small industries disappeared. In 1956 KaposvĂĄr joined the revolution but on 4th November the soviet tanks clunked through the city's streets: the fall of the revolution and the sanctions had a lot of victim in KaposvĂĄr. Between them the famous born of KaposvĂĄr, the revolution's martyr prime minister, Imre Nagy. The chief town of the county woke up hardly after the flop. In the next decade the development of the industry and the flat construction started. From 1970 new subtopias built. The city's administrative boarder flared: in 1950 Kaposszentjakab, in 1970 KaposfĂźred and ToponĂĄr and in 1973 TĂśrĂścske joined the city. In 1971 the training-school and the agricultural technical institute became college. 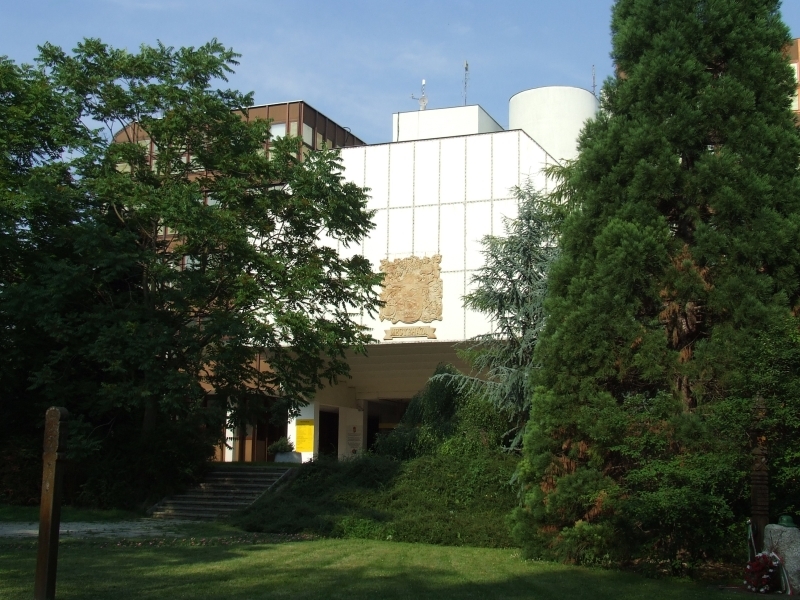 In the field of science and culture many person made famous the name of the city, not just in the country but beyond the borders too: the Archives of Somogy County, the Gergely Csiky Theater, The BĂŠla VikĂĄr Choir, The Somogy Dance Group, and the Berzsenyi Company. The crisis of the 80's, and the stop of the city's development made necessary changes. 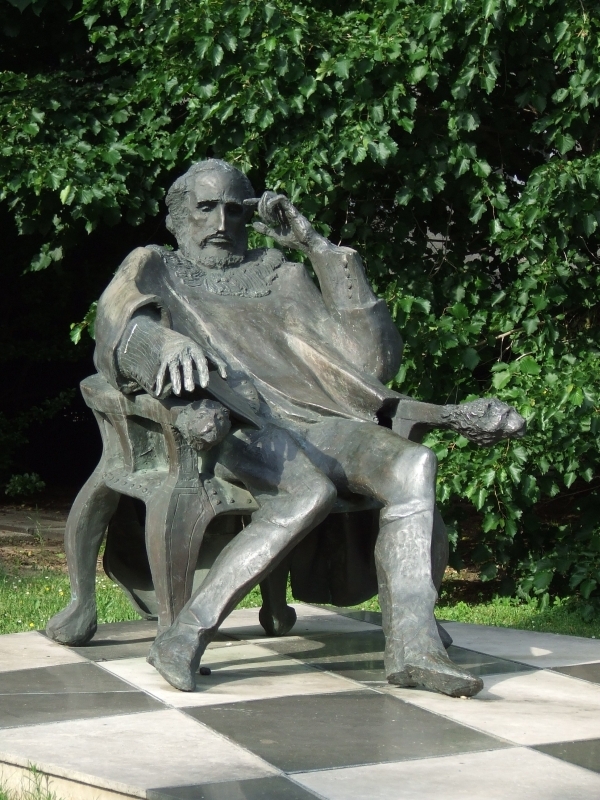 In the end of the decade - like so many times during its history - KaposvĂĄr stood to the top of reforms. The maverick organisations were funded and a memorial tablet was put on Imre Nagy's house, as the symbol of new times. 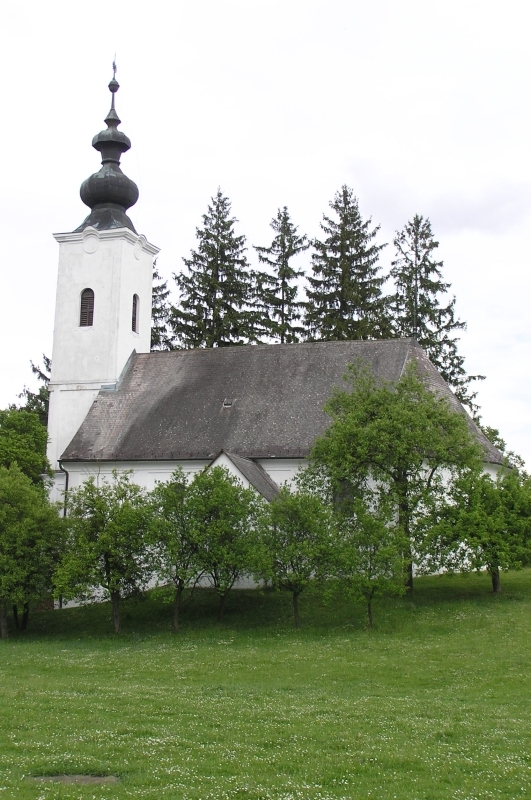 In 1990 KaposvĂĄr became the center of the county and in 1993 an episcopal seat. And what is coming into our mind about this city with its rough history, crisis, destroy but always renewable town? A lot of thing. Today KaposvĂĄr - with its university, education system, and thousands of students - is a real school town. With the well-kept plazas, streets, colourful flowerbeds it is the town of flowers. The program starts and finishes in the downtown. It's offered by car. Calm and relaxation in the heart of the city! OThe memorial statue of the Olympicons, Lifetree (Ăletfa), the stones of Arad's marthyrs, Malom-lake with the swimming fountain. 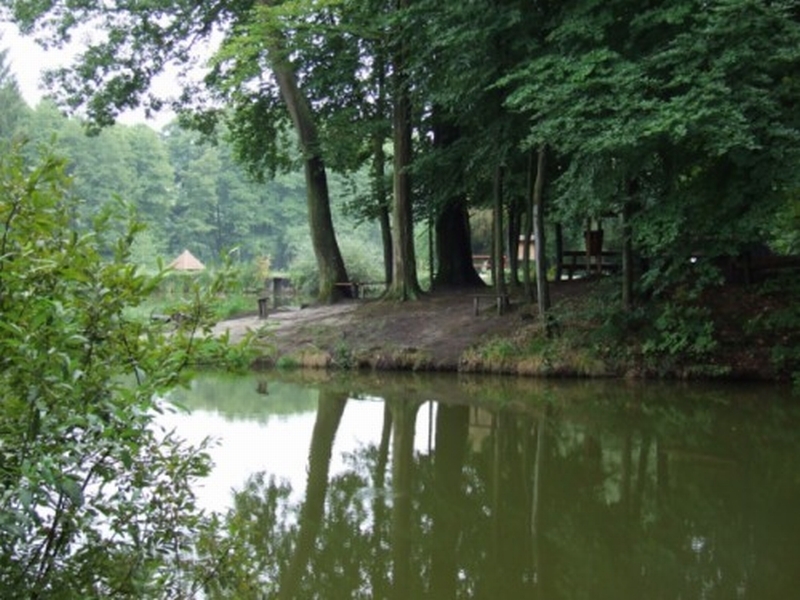 The park forest is situated south-west from the city and it's the beloved place of the excursionists. In the frontline of Zselickislak, near the road 67 there is the valley, on the surface 44 ha which has the real "zselici" feeling. The program starts from the downtown to ease the orientation. It's offered by bycicle or on foot. Since 30 years ago in February, in the first weekend close to the nameday of Dorottya, the Carnival Days of KaposvĂĄr invites every interested person to an unforgettable jollity. 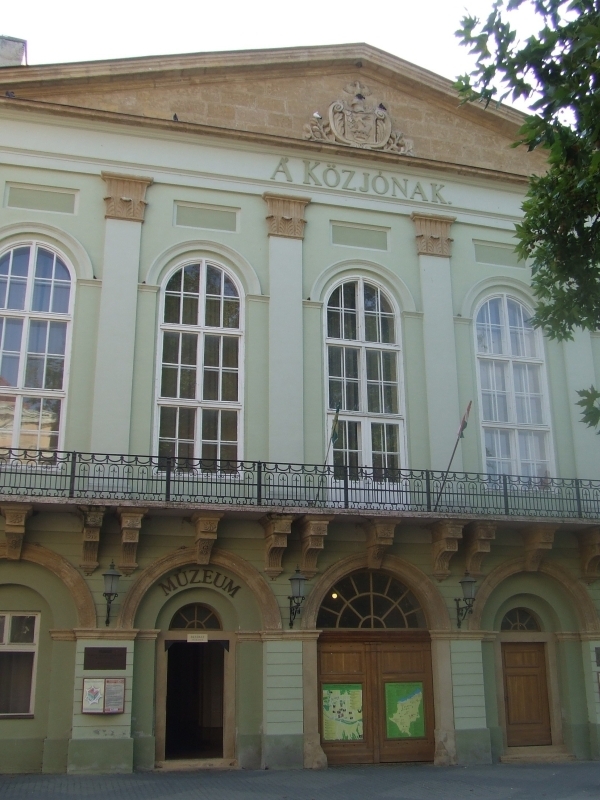 On the basis of MihĂĄly Csokonai VitĂŠzâs epic, the Dorotya and the traditions of Somogy, the town waits with various programs from year to year. 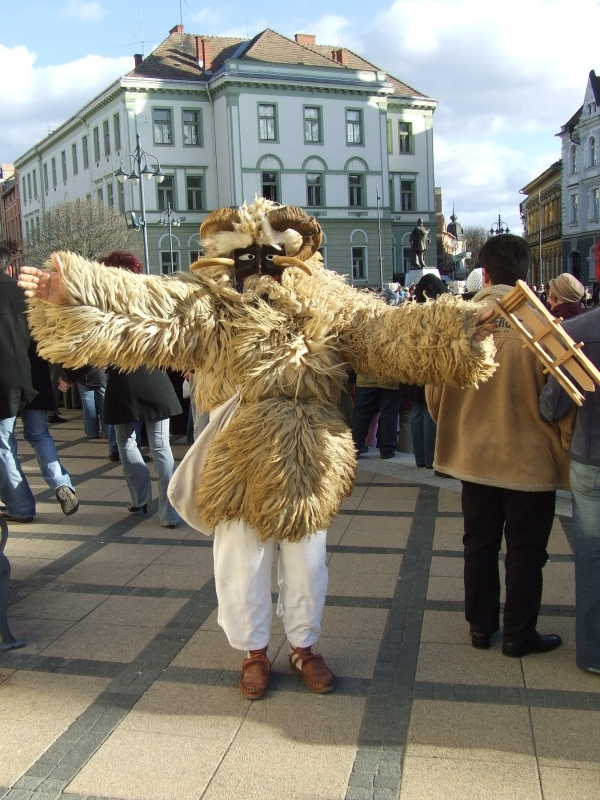 Besides the masquerade, it offers the possibility for international theatrical meetings and performances.The âPrince of the Carnivalâ appears and thanks for the spinstersâ crowd, the folk dancers and groups in costume, the old traditions are revived and entertain the citizens and the tourists in the main square and walking street of KaposvĂĄr. 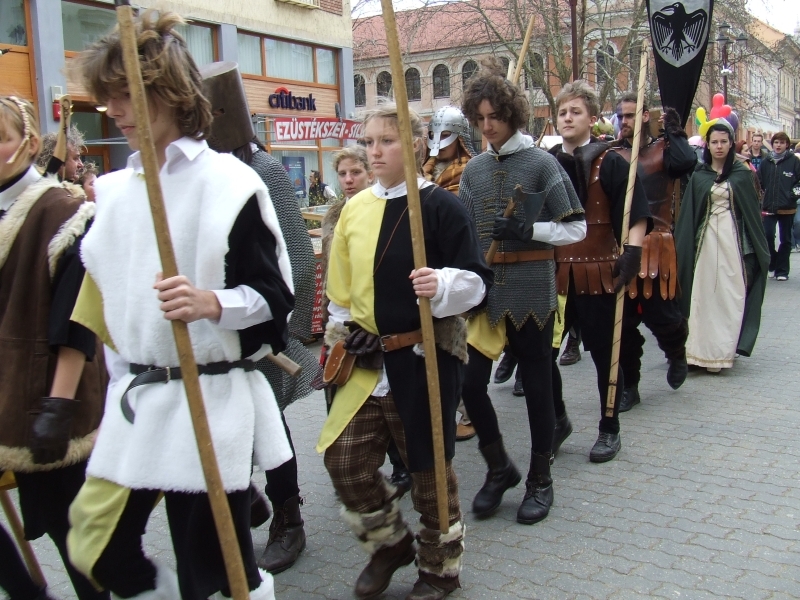 The KaposvĂĄr Spring Festival is organised in every spring. It waits the interested visitors with attractive, colorful art programs. During the two weeks of the festival there are art, music, dance, literary and theatrical programs. There are open-air concert and performances between the shows. The speciality of the festival is the Meeting of Brass and Reed Bands int he end of March, and in its course international and national military, police and firemen bands introduce their programs in the main square of the city. In every second, even number year the Biennal of Child and Youth Theater is organised, where the theaters which plays child and youth plays present their performances. During the one-week long program which is not just in stage of the Csiky Gergely Theater, but there are open-air locations too. 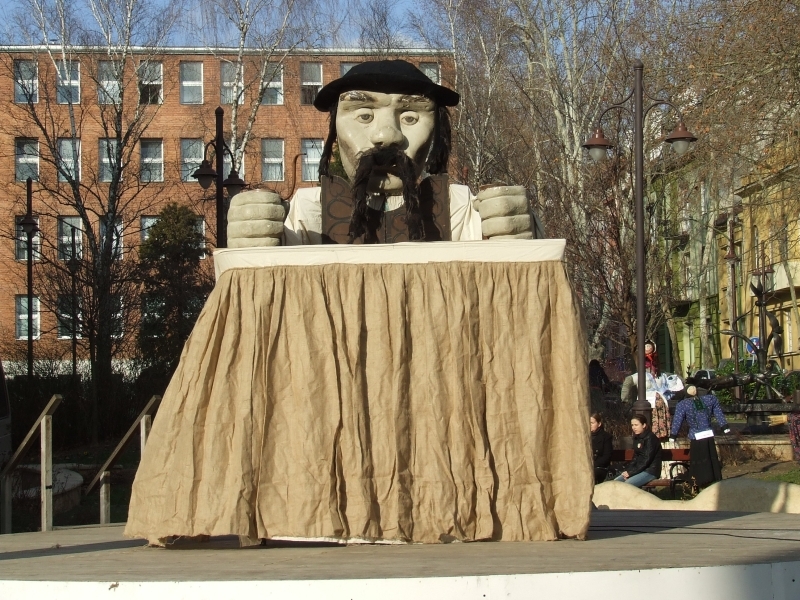 KaposvĂĄrâs largest and best known festival is organized in the May of every year (in the month of Rippl-RĂłnaiâs birthday) and its commemorate KaposvĂĄrâs famous painters: JĂłzsef Rippl-RĂłnai, JĂĄnos Vaszary and SĂĄndor Galimberti. During the four-day long festival there are concerts, exhibitions, book shows, dance performances. In the main square of the city, near the small streets and the walking street the visitors can see the procedure of the creation, because painters, wood-carvers, potters work in their temporarily workhouse. 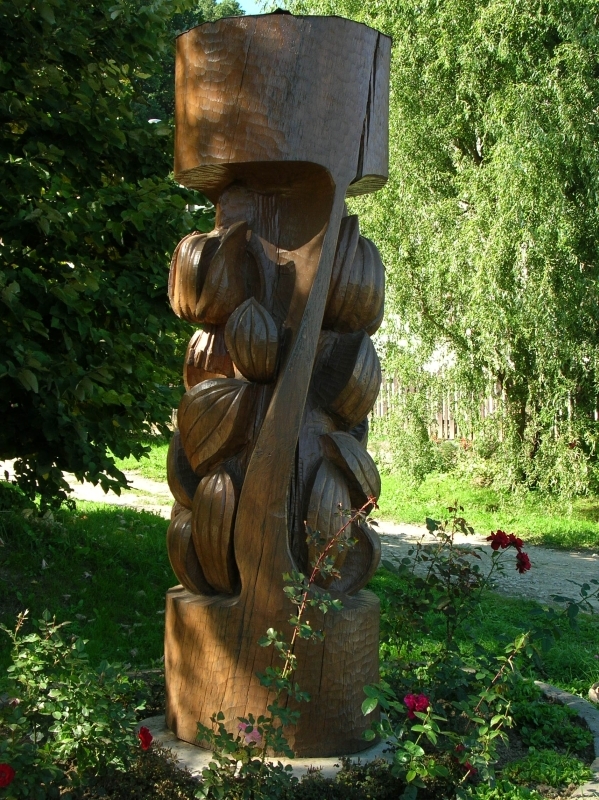 The delegations and artists of KaposvĂĄrâs twin-towns return year after year. After some years the festival became well-known and popularity in the country. 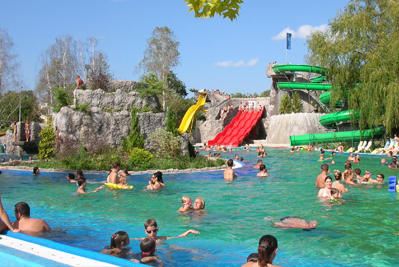 Today its attraction goes beyond the borders, more and more foreign tourists visit to KaposvĂĄr during the festival. One of the most outstanding sight of KaposvĂĄr and is the remain of the roman styled BencĂŠs ApĂĄtsĂĄg (abbey) in Kaposszentjakab. The ruins of the (was established in 1061) roman style church, cloister and chapel can be visited since the reconstruction in 2001. Durng the development the roads were built and the programs os the Szentjakab Summer Evenings started. In the frame of this yous can see theatrical, musical and dance performances. Near the ruins art camps could be organized. In the summer of every year youth football teams and their attendants arrive to KaposvĂĄr from all over the world, to take part the traditionally organized Youth Football Festival. During the almost one-week long event the teams fight with each other in more age-group. The winner comes out in top after the final match. Between the programs of the festival the visitors can find âSight-sport festivalâ. The programs from the first week of advent - that starts with candle-lighting - keeps until Christmas, and it makes a real Christmas-feeling to the Kossuth-square. The Betlehem is from carved, wooden figures, thereâs âshed-theaterâ, Christmas tree of the city and roller ring that create the atmosphere of the feast. 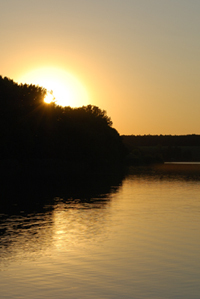 The touristic and marketing office of KaposvĂĄr.as the member of the Tourinform network it gives informaton not only about the surroundings of KaposvĂĄr, but about Hungaryâs touristic offer too for the inland, foreign tourists and local citizens. Monday-Friday 9.00 a.m. â 6.00 p.m.
Saturday: 9.00 a.m. â 5.00 p.m.
Sunday: 9.00 a.m. â 2.00 p.m.